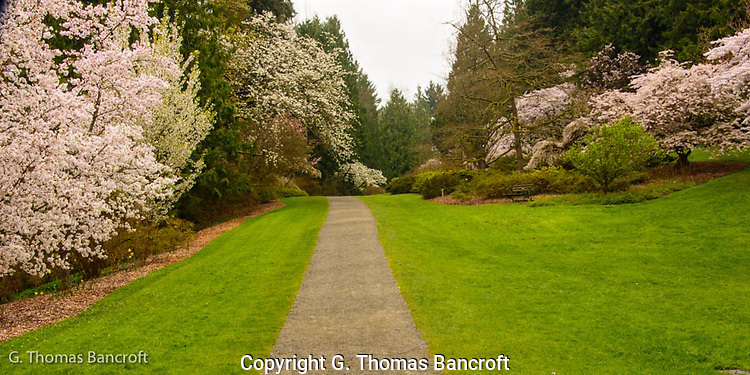 A walk down Azalea Way at the University of Washington’s arboretum continues to be spectacular. 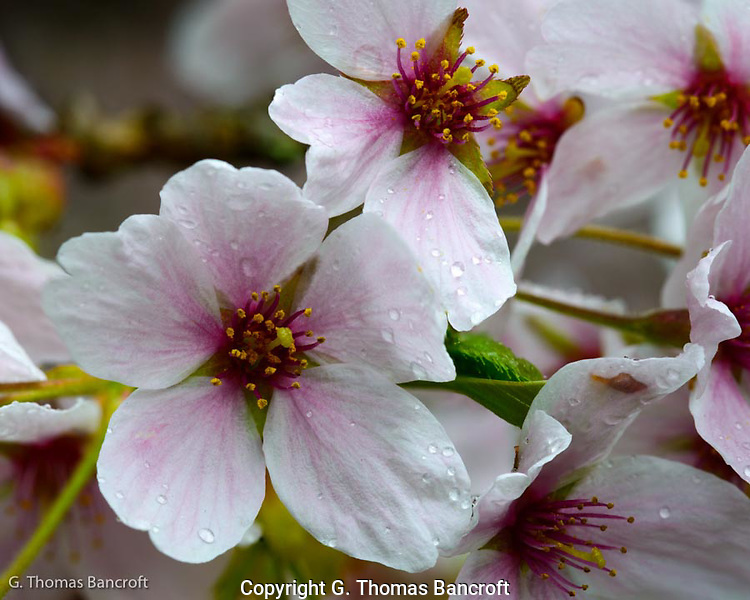 Several late blooming cherry varieties are now in full bloom. One had such delicate blooms and another had very fluffy blossoms. The Magnolias are open now and make for quite the showy tree. 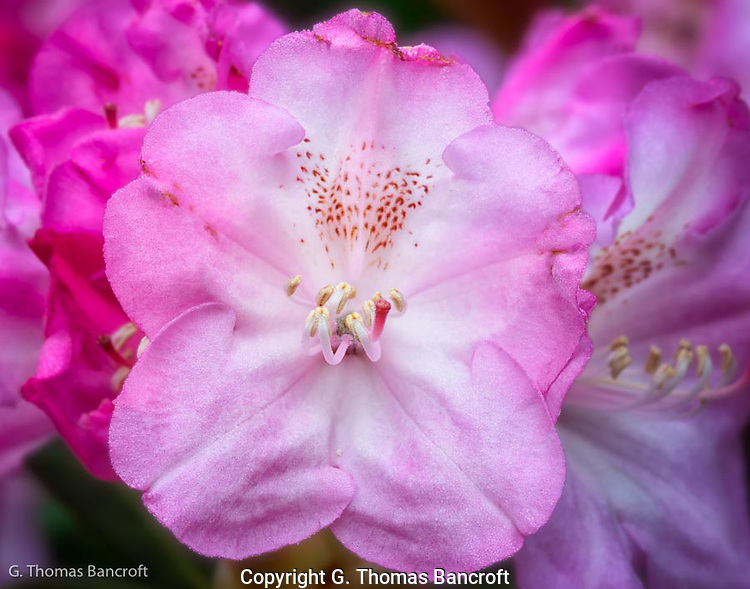 Rhododendrons are just beginning to open. I found one with spectacular flowers in large clumps on the hybrid trail. It is definitely worth a visit. I went up to Mt Vernon in Skagit County to see if the Tulips were beginning to bloom. 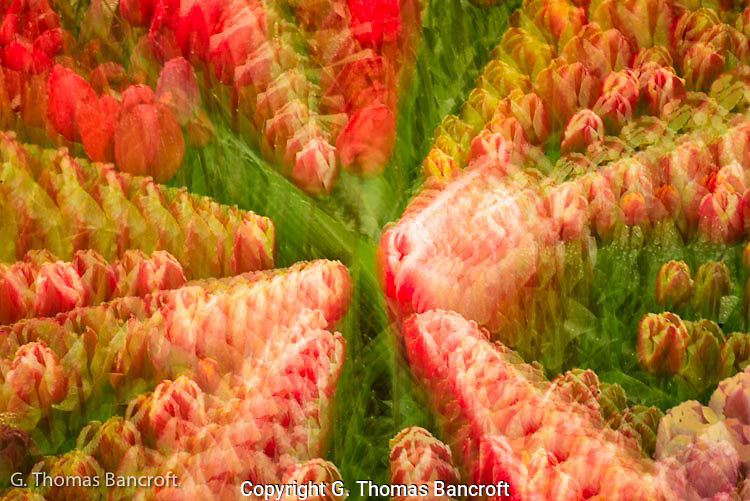 Tulips are a major agricultural product for this part of Washington. 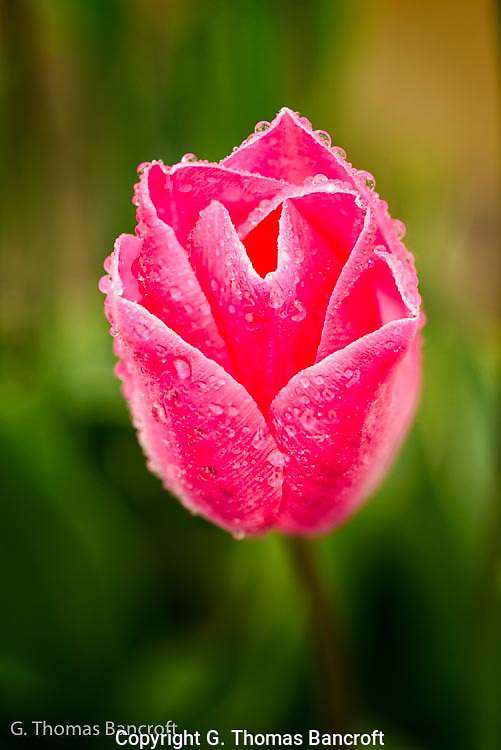 This area grows three-quarters of the tulip bulbs produced in the United States. The rich organic soil of the Skagit plain is good for their growth. I found fields stretching as far as the eye could see with wonderful colors. Reds, purples, pinks stretched in long rows. It was lightly raining while I was there which created perfect light for photography. I found some wonderful specimens to capture. 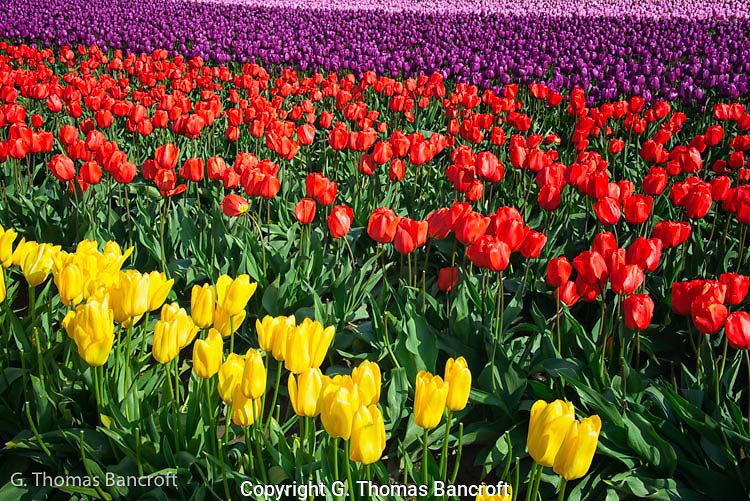 You can see some more at http://thomasbancroft.photoshelter.com/gallery/Tulips-in-Skagit-County/G0000zx9niJPQpv0/C0000.fXuY8bBxag. If you have a chance, it is quite the sight to see drive up to see these fields while they are in full bloom. I had some fun, making abstract art with some of the designs formed by the mixed colors. I was excited to spot a Trillium under a tree on the hill to the east side of Azalea Way in the UW Arboretum. This sighting flooded me with fond memories of searching for Trilliums in Pennsylvania with my mother and sisters. Finding this showy 3-petal flower confirms that spring is here and we can rejoice that more flowers are on their way. For them everything is in threes; petals and leaves. My family use to take long walks through the hollow on our farm to look for Trilliiums and see what other flowers might be coming soon. Seeing this flower in Seattle was wonderful for me. The Pacific Northwest’s Trillium is larger than Trilliums in western Pennsylvania. The plant I saw was 18-20 inches tall and the flower was at least 2 inches across. This one was starting to show a little pink in the middle indicating that it had been open for a while. They gradually develop some pink as they age. One-flower blooms each year on an individual plant and it is really a beauty. White-tailed Deer in the east have really decimated trilliums. Deer repeatedly eat them to the ground and eventually the plants die. It looks like trilliums are doing well at the arboretum. 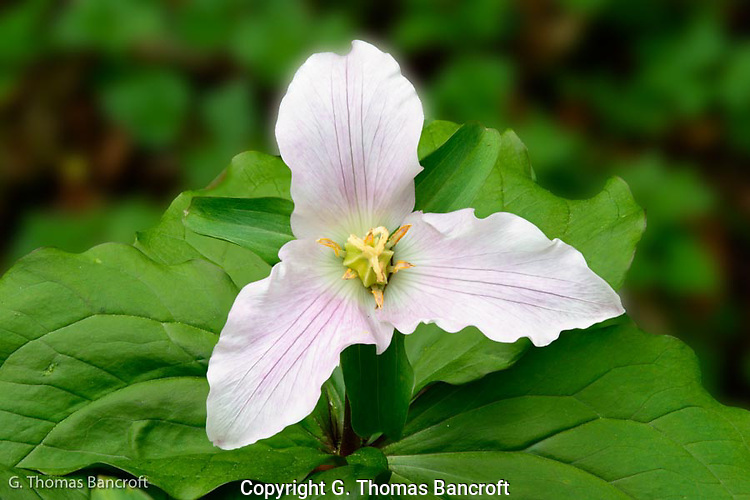 The Pacific Northwest Trillium is common in woods throughout western Washington and Oregon. I saw a number of others as I strolled through the Arboretum. 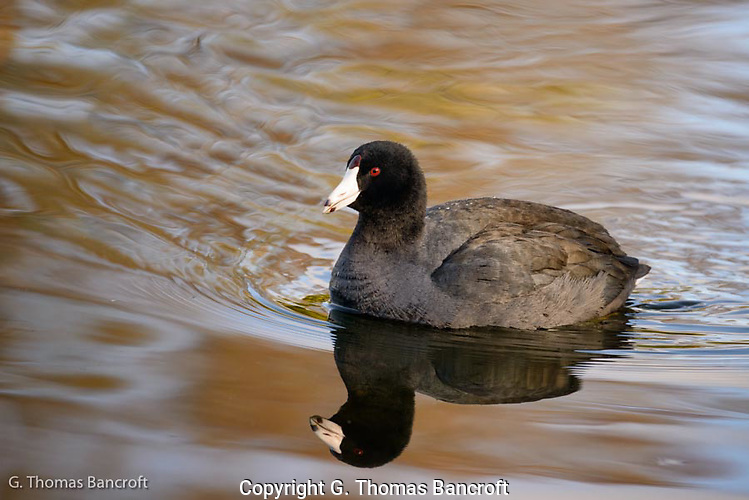 Look for them in the next few weeks if you are out enjoying wildlands. On Wednesday, I took a late afternoon walk through Magnuson Park. The trees were beginning to bloom. 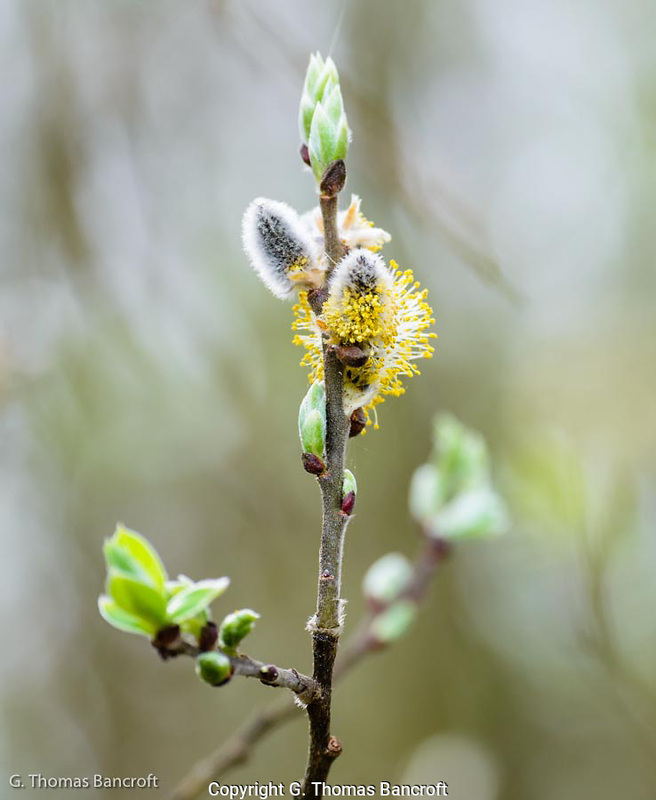 Some of the willows had beautiful flowers opening along their branches. They looked so delicate in the late afternoon sun. New leaves were beginning to emerge from the branches; soon the area will be green with fresh leaves. 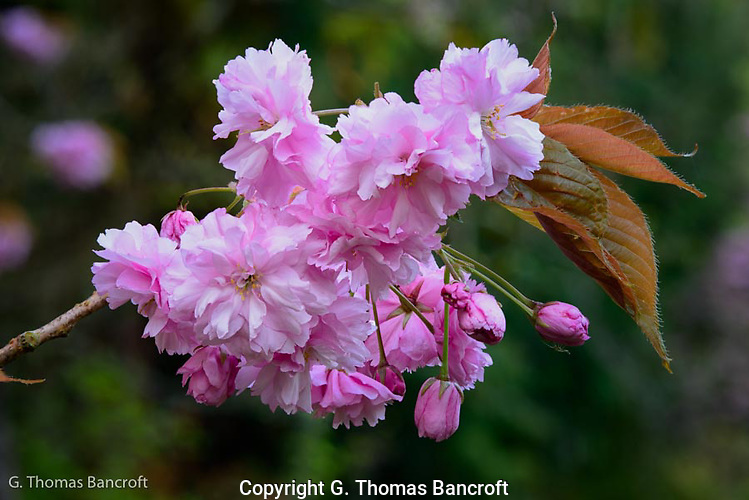 Several cherry trees had flowers and other species were beginning to flower too. 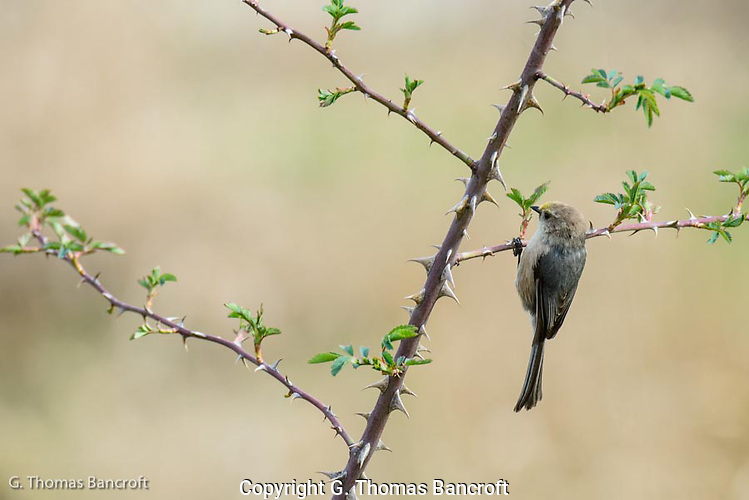 I spotted a small flock of bushtits feeding in the bushes along the trail. These birds are incredible acrobats, hanging upside down to feed and working all sides of branches to find small insects, spiders and other tasty morsels. They would flip rapidly from one branch to another jumping along branches to see what was present. Some individuals were very brown while others had more yellow on them. 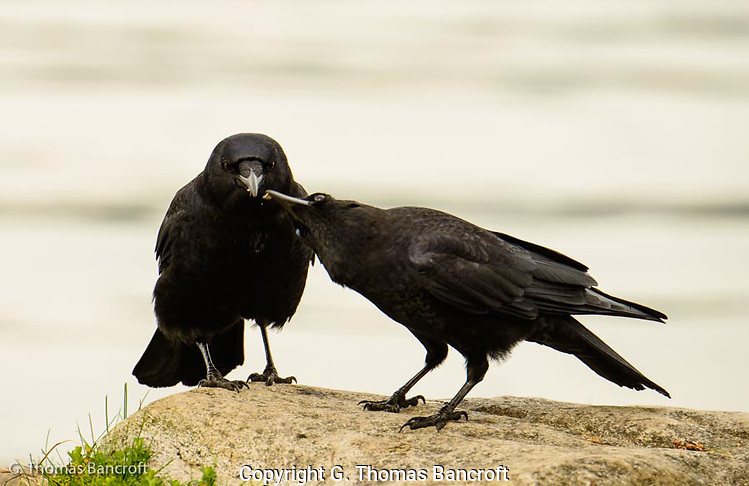 One individual seemed to be itching the side of its head on a branch, first on one side and then the other. 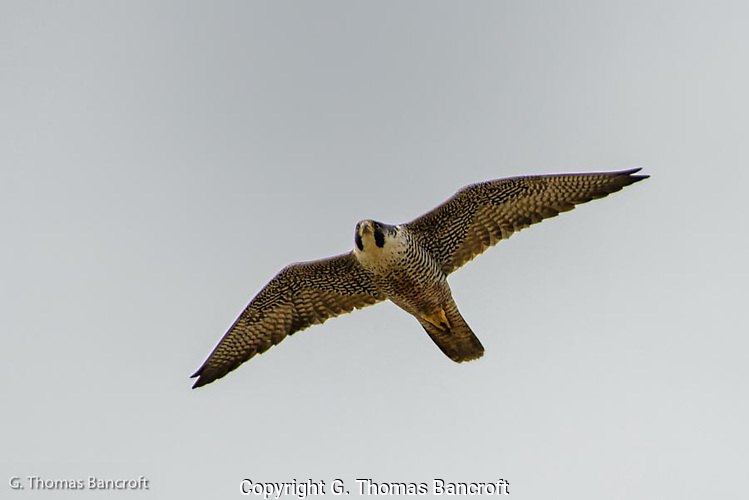 These birds traveled in flocks up to 40 or more individuals. There were at least a dozen in this group. 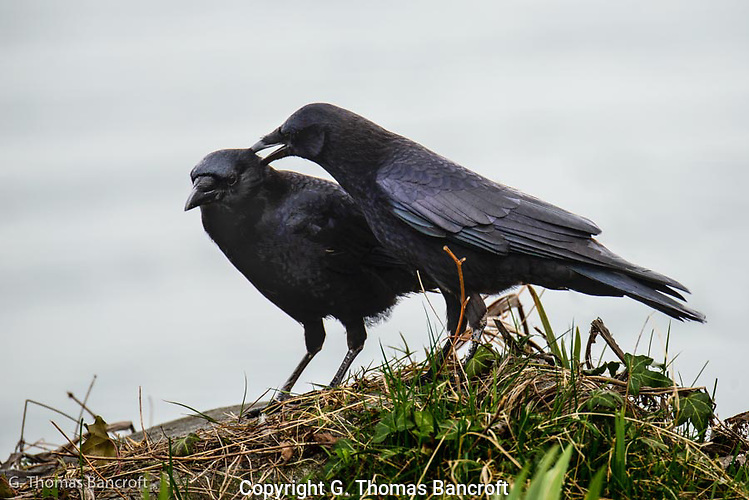 In some parts of their range, a breeding pair will have helpers at the nest. These may be young from previous years or non-breeding individuals. They build a hanging nest that is completely enclosed. 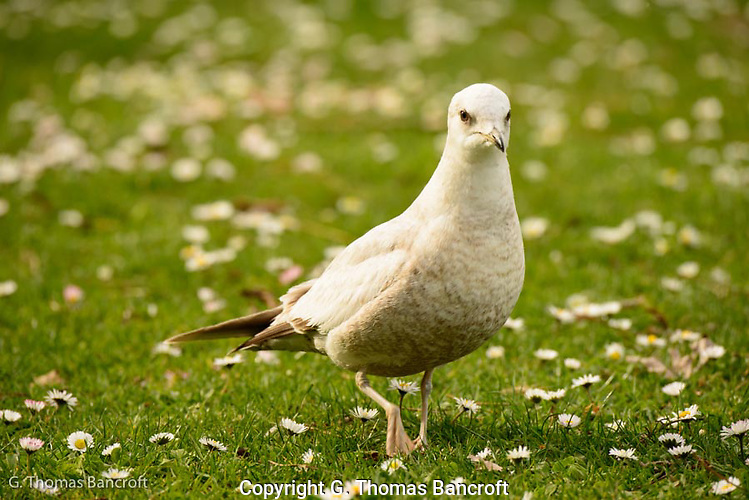 The nest and a safe nesting site is a valuable commodity for this species and scientists think that having more than a pair at a nest may improve reproductive success. 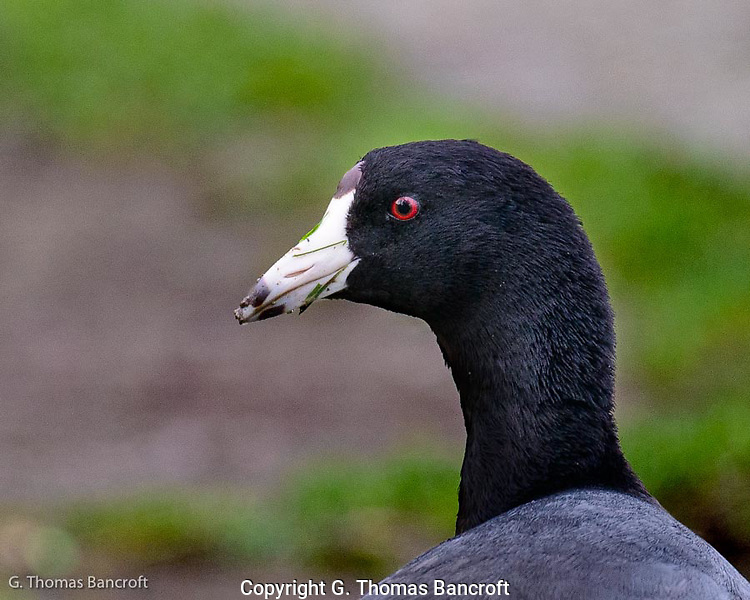 Nesting should start soon in Washington. I saw a Mourning Cloak butterfly crisscrossing the field too. Mourning Cloaks are different than most butterflies in that adults over winter in Washington in cavities or under bark crevices. 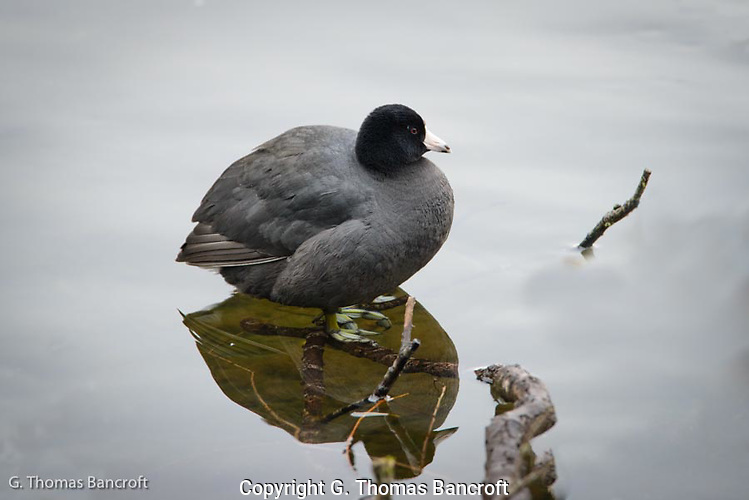 This gives them an advantage in spring in that they can emerge, mate, and immediately begin laying eggs. 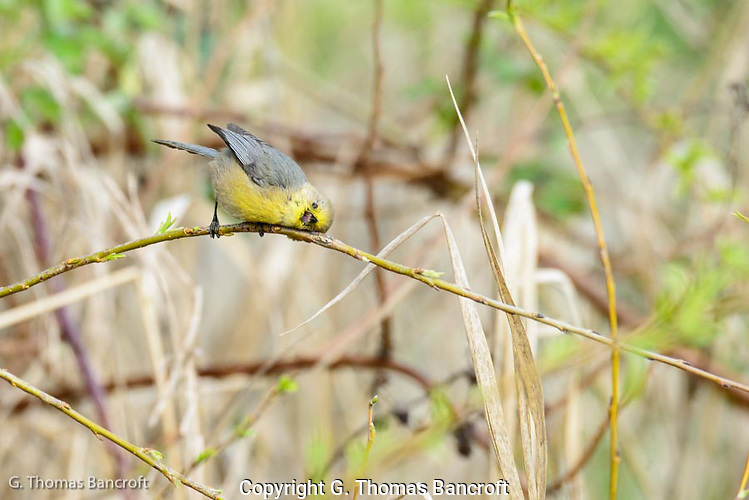 Willows are one of their favorite foods for the larva and this strategy allows the first brood to feed on the newly emerging and tender leaves. I will definitely return to Magnuson Park to see what happens latter this spring. 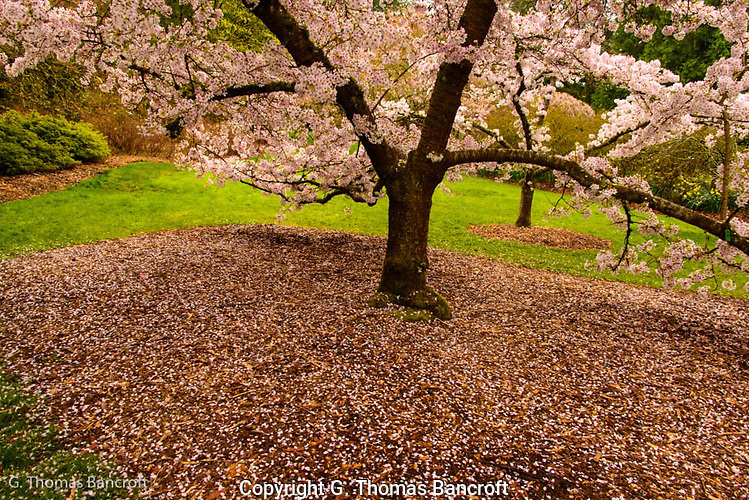 The cherry trees in the UW Arboretum are in full bloom right now. 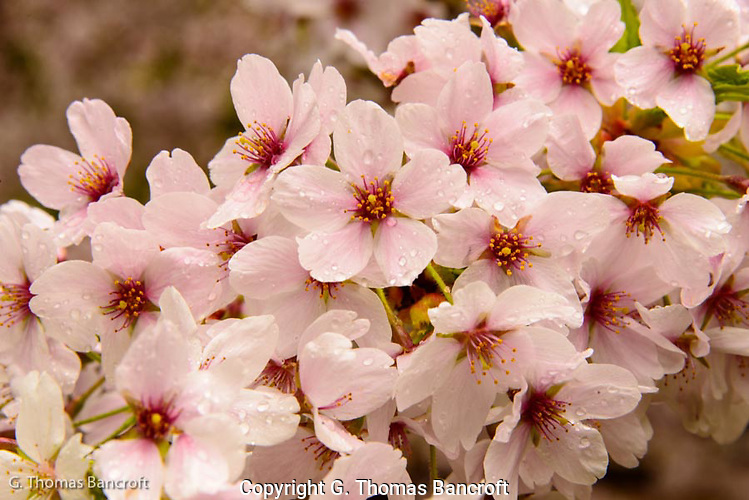 It was lightly raining while I walked along Azalea Way and the soft light made the cherry blossoms really glow. Light rain and cloud cover creates a beautiful light for viewing flowers and really appreciating the intensity of colors. 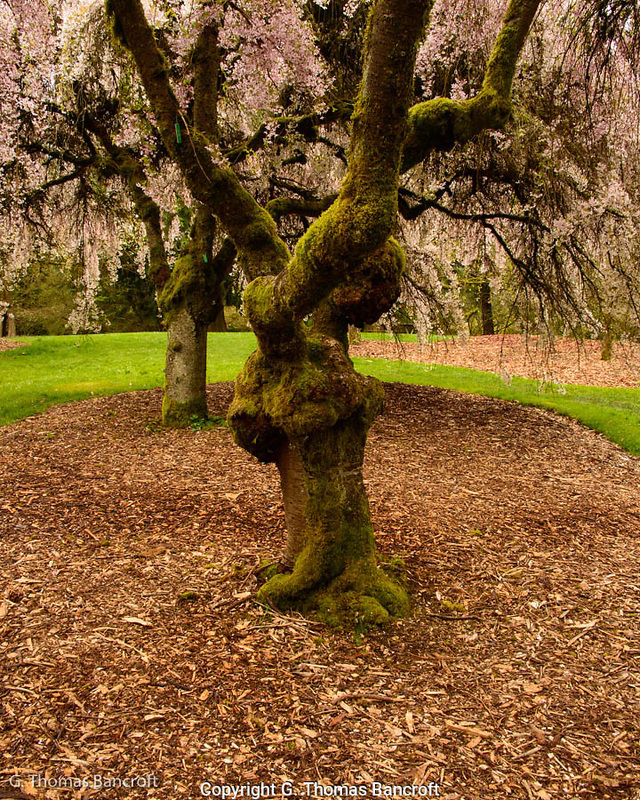 The arboretum has a number of varieties of cherries and each is slightly different in their flowers and tree shape. The twisted trunks of some trees created an intricate design with their knobs and blanket of moss. A dusting of blossoms floated to the ground under a few of the trees. Up close, the blossoms were just exquisite to study and the perfume of some trees was strong and sweet. I stood for several minutes under many to just enjoy the ambiance of the moment. A walk now through the arboretum is well worth your time. 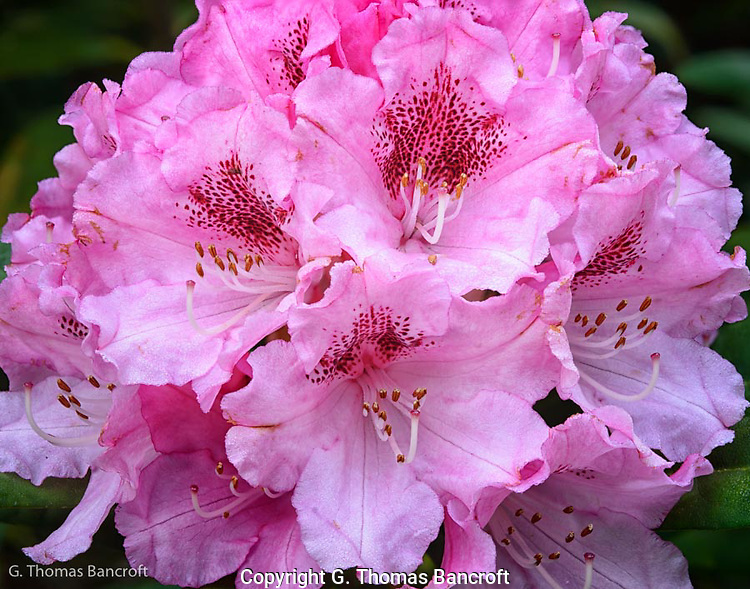 Soon the azaleas and rhododendrons will be blooming. The chickadees and juncos were singing away as I strolled along the path. Several robins were also telling the world they had staked out territories for the coming breeding season. 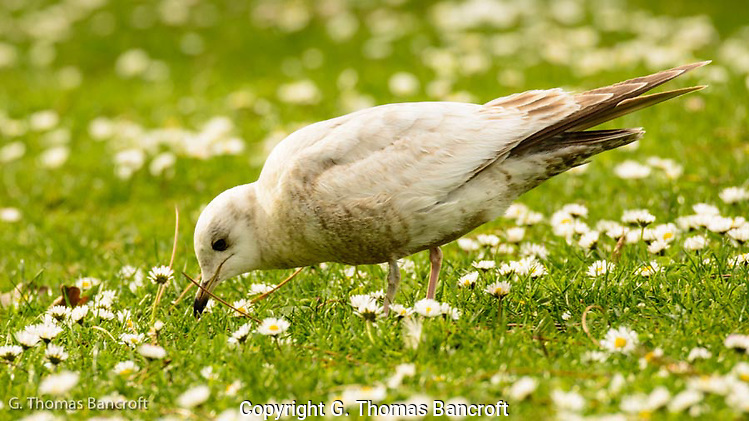 I watch several crows work the lawn for grubs and worms. The place was alive with activity and showing signs that spring is here. 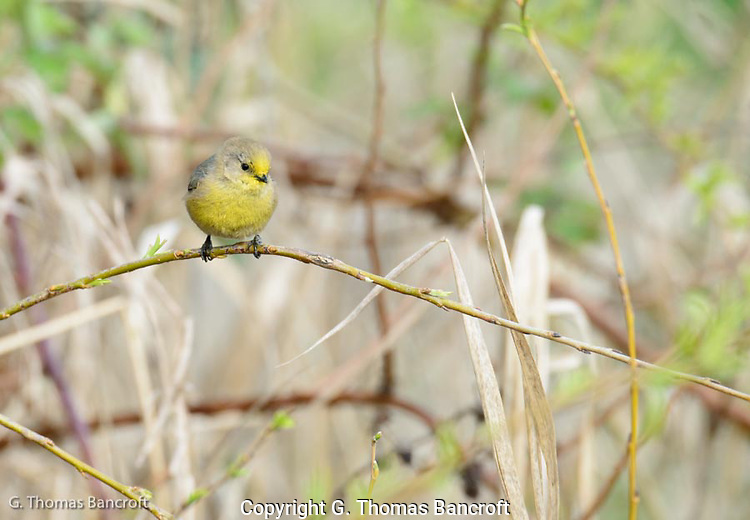 Take a walk in the woods to see what spring offers.